If you got in an accident, we hope Tesla’s excellent safety systems helped prevent or reduce any injuries to you and your passengers – far more important than any vehicle damage. We’ll cover some of the ins and outs of what the repair process is and how to get driving again in your Tesla sooner than later. Should have ordered the water float option! If your vehicle was totaled, there’s not too much we can offer here. Your insurance may low-ball the value of your car. Obviously, the maximum depreciation occurs during the first year of ownership, so a totaled car during this period can be especially painful. A few policies offer replacement coverage if the vehicle is totaled in the first year of operation. Check your policy if this may apply to you. I’d also check Kelly Blue Book to confirm if the price they are offering is in the ballpark. You might be able to negotiate a higher value, but don’t count on it. If you plan to get a new Tesla, let Tesla know of the circumstances. In a few cases, Tesla has moved a replacement order to the front of the manufacturing queue. It’s not a certainty, but it is worth asking. Are you sure this the only loaner available? Tesla’s loaner program is only for scheduled work done at the Tesla service center. Tesla is not responsible for providing a vehicle during accident body shop repair work – that’s the insurer’s responsibility. That said, there have been a few rare cases where Tesla provided a loaner due to unusually long waits for Tesla parts. While your vehicle is being repaired, most insurance policies offer some coverage for a rental car. Check your policy carefully, as the defaults are often rather skimpy – limiting the daily cost, total cost and duration. 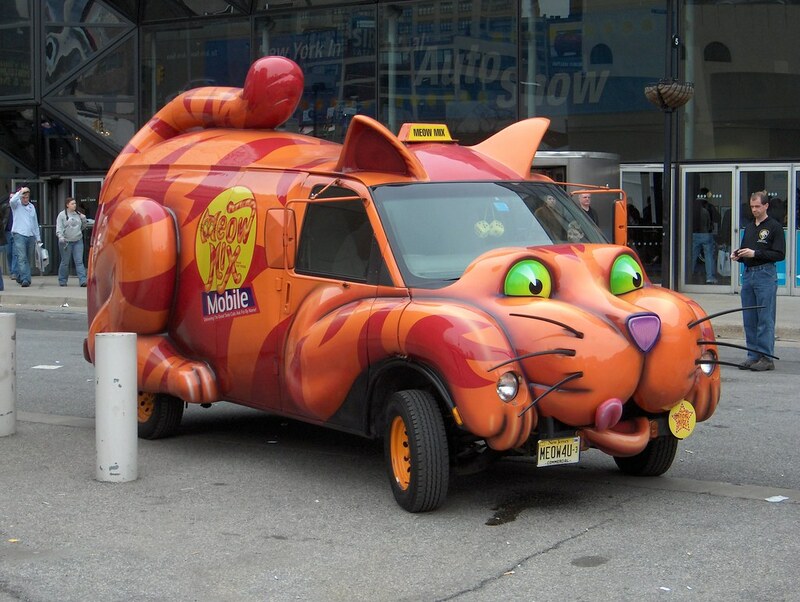 Ideally, they should provide a vehicle of similar size (i.e. a large sedan for the S, an SUV for the X). If you’re not at fault in the accident, the other party’s insurer may be responsible and you shouldn’t get short-changed on the rental. Some negotiations may be necessary. Don’t expect to get a Tesla as a rental, but neither should you put up with a sub-compact cheapo rental. There are many steps in the repair process. While many steps are fairly quick, some can dramatically slow the process. 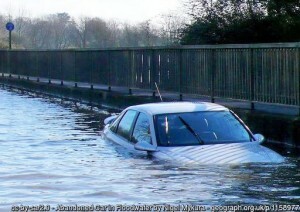 Some owners have had insurance companies take weeks to approve a repair, while others do it in hours. During the disassembly process, additional issues may be discovered. This adds another cycle of insurance approvals, parts and other steps. Some actions like the Autopilot camera calibration and 4-wheel alignment may need to go to a Tesla service center for additional work if the body shop is not equipped for these items.. For example, if the windshield is replaced, the camera may need to be calibrated. 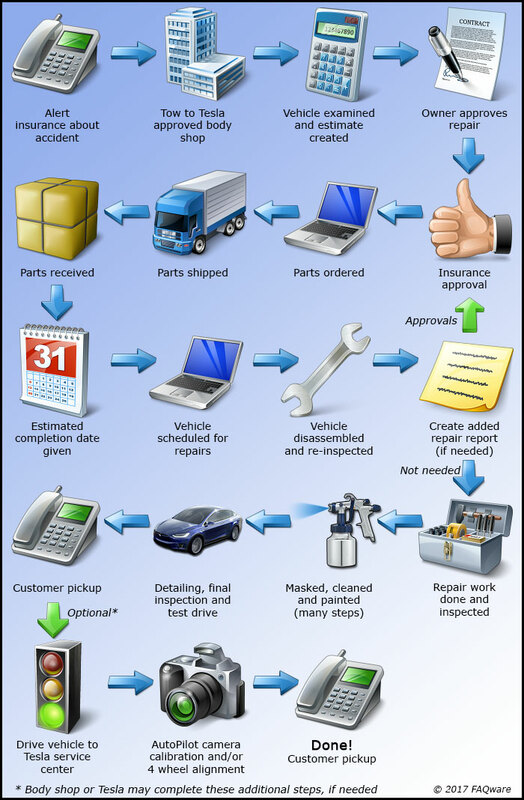 We created the following process diagram for more complex repairs that require a Tesla approved body shop. For accidents with minimal damage, such as paint scratches, you do not need to use a Tesla approved shop, and you may find it considerably cheaper to use a local shop you’re comfortable with. Generally, you’re going to need to take your Tesla to a Tesla approved body shop or one of Tesla’s own body shops. These shops have gone through Tesla’s training and have equipment specific to Tesla on hand. Be aware there are often only one or two shops in each area. This is partly due to the costs involved in getting certified by Tesla, and partly due to Aluminum body work, that is somewhat specialized. Visit Tesla’s List of approved body shops. to find one near you. 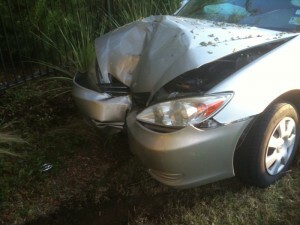 Some insurance companies may direct you to a prefered body shop. Unless it is Tesla certified, insist on using a Tesla certified shop. A non-certified shop will not have access to the right tools and parts if there is anything more than paint damage. For support with your Tesla at a Body Shop, you can reach us by email at: BodyShopSupport@tesla.com. Please reference your VIN and which Body Shop you are working with so we can promptly assist. Hopefully no one is using this calendar! For minor repairs, often the entire process can be handled in less than a week. 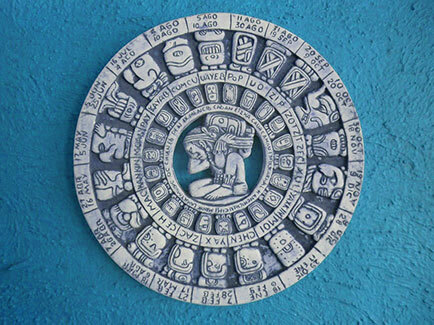 For major repairs, 2-4 weeks is typical, but in rare cases over 8 weeks is possible. Be aware that what appears to be minor, can have hidden damage that is adds cost and is time consuming to repair. In the past Tesla has had a 18 day average parts delivery time, but has revamped the parts system with a target to get this average time down to 3 days. Tesla has also created additional regional parts distribution centers to help reduce the transit time. The parts no longer in production – Tesla makes frequent changes to the design, and often the parts used in current production will not work on your older vehicle. The part needed is undergoing a redesign for improvement – Tesla may have let the inventory expire waiting for a better part. A third-party that makes the part for Tesla isn’t providing enough parts in a timely manner – This happened several years ago with special aluminum rivets made in Japan were in high demand by many automakers. Tesla didn’t anticipate a run on some specific part and must order more. Long transit times to locations far from California. After a serious accident repair, the fact the vehicle was in an accident may reduce the eventual resale value. You may have rights to a diminished value claim. This could be worth several hundred or even a few thousand dollars. It can be difficult to get this, as the insurance industry doesn’t like to hand out money! Lawyers and experts may be required that could eat up any funds received. Be sure to get good photos of the vehicle before repairs are made. It may help in the process. This Diminished claim thread on the Tesla forum talks about it in more detail. Aluminum vs Steel – why so expensive? 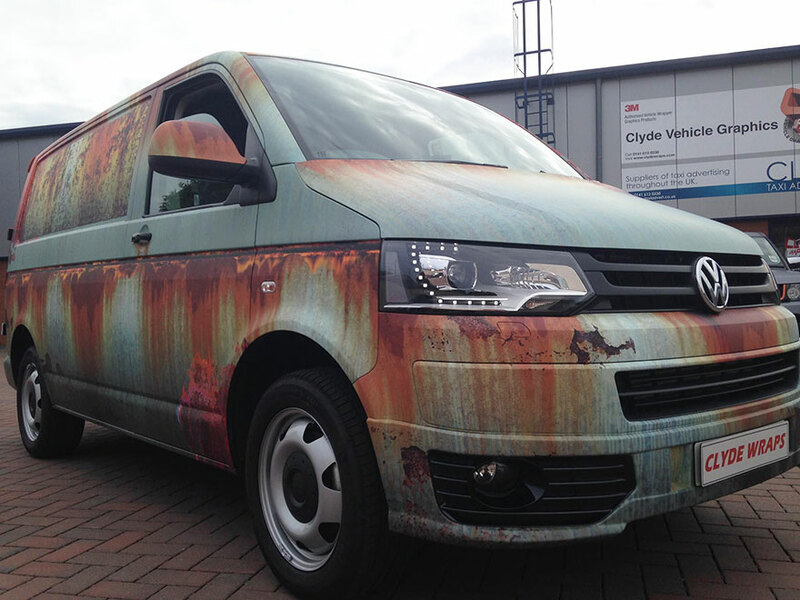 Wrap your new vehicle with fake rust to fool thieves! Aluminum is a great material – strong, light and has high corrosion resistance. In the Tesla, it helps keep the car weight down, improving efficiency and range. The downside of Aluminum is it is costly to manufacture and is often more expensive to repair. Aluminum structures are typically 60 to 80% more expensive to make than steel. Some current vehicles that use aluminum for a significant part of the structure include the Audi A8L, Ford F150, Acura NSX (old and new models), BMW i8, Mercedes-Benz SL-Class, Jaguar XJ, Alfa Romeo 4C, Chevrolet Corvette (Chassis), Cadillac CT6 and Jaguar XE. For small dents, a paintless dent repair service may work. Aluminum panels are less likely to be successful, but in some cases it makes for a very cost effective repair. A more seriously damaged steel panel can be repaired by pounding out and/or using bondo to fill in the area. This is a relatively cheap repair, although the quality is not on par with a total replacement of the panel. Most damaged aluminum panels must be replaced. In the factory, the panel is typically glued and welded while the tools can get to both sides of a seam. After the car is built, the only way to replace a panel such as the fender is to cut the panel out and attach a new panel with glue and rivets. 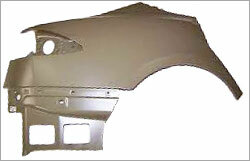 This is more labor intensive than bondo type repairs, but the end quality is far superior – very close to new. Why are some vehicles faster to repair? We can buff that right out! A high-volume vehicle gets into a lot more accidents. This means there are more shops to repair these cars and mechanics trained to do this work. For parts, there are multiple companies making replacement parts (beyond OEM parts). Parts are also warehoused in many locations, as the demand for parts warrants high inventory levels. The insurance companies are so used to dealing with a high-volume car, they have a very good idea of the costs as well, and can speed approvals. As you get to lower volume premium vehicles such as made by Tesla, BMW or Audi, there are fewer body shops that can do the work well. Parts availability also becomes more limited in inventory and distribution. There are rarely any third-parties making replacement parts either. As you get to very limited production cars like Ferrari or Lamborghini, replacement body parts are often hand built to order, and can take 6 months or more to get. These repair costs are also extremely expensive.